Smarter Toys for Smarter Dogs! Smarter Toys provide variable learning levels to encourage mind-bending, challenging play that keeps dogs busy for hours. Fill Smarter Toys with your dog’s favorite treats for irresistible fun, a healthy outlet for instinct and energy, and a diversion from unwanted behavior. What better way to keep your dog mentally stimulated, physically active, happy, and healthy than with a toy that dispenses his favorite treats? 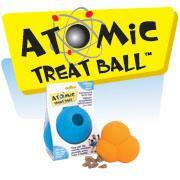 Fill the Atomic Treat Ball with kibble or treats and watch as your dog rolls and nudges the ball to get the tasty morsels inside. Available in 3” and 4” sizes. 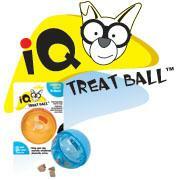 For a challenge that’s filled with tasty fun, try the IQ Treat Ball. 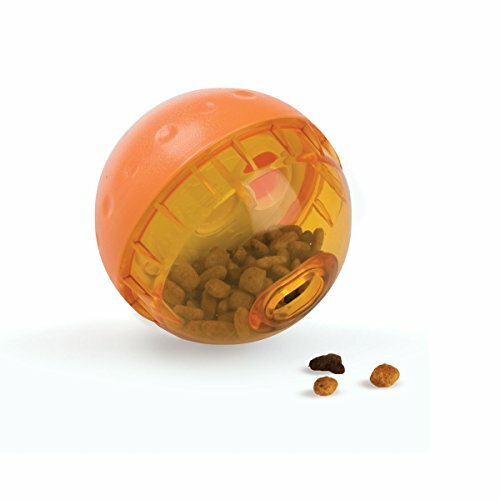 Fill with treats or kibble, set your desired difficulty level using the ball’s adjustable interior insert, and let your dog roll the ball across the floor to try to release the food inside. Available in 3” and 4” sizes. 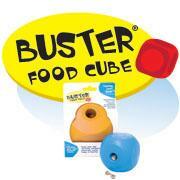 Give your dog the ultimate brain teaser with the Buster Food Cube! Remove the adjustable cylinder and fill the cube with your dog’s favorite treats. Then, reinsert the cylinder, adjusting the level of difficulty, and let your dog push and nuzzle the cube to release the treats. Available in large and mini sizes.